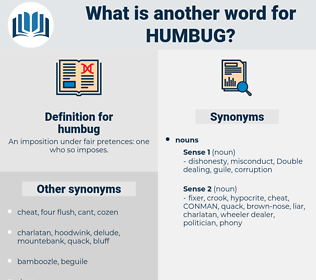 What is another word for humbug? An imposition under fair pretences: one who so imposes. 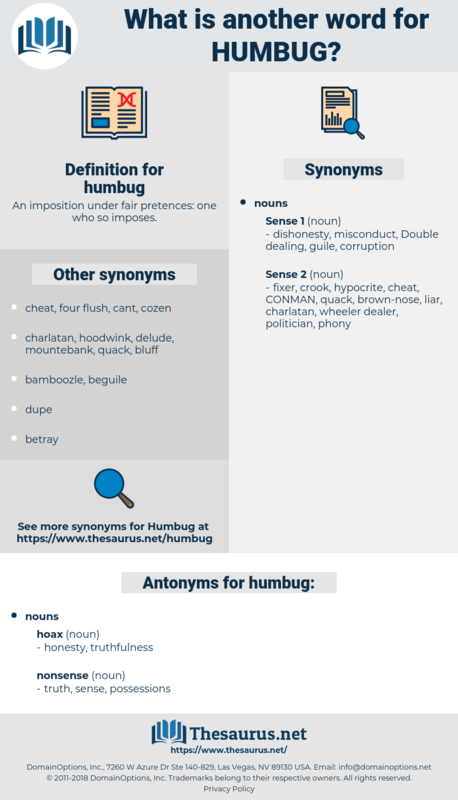 But let me tell you I am prepared to stand or fall with Dr. Shrapnel, and be hanged to all that humbug. The certainty spurred him to a fresh effort, and he cried: It's no good your trying to humbug me - none at all.